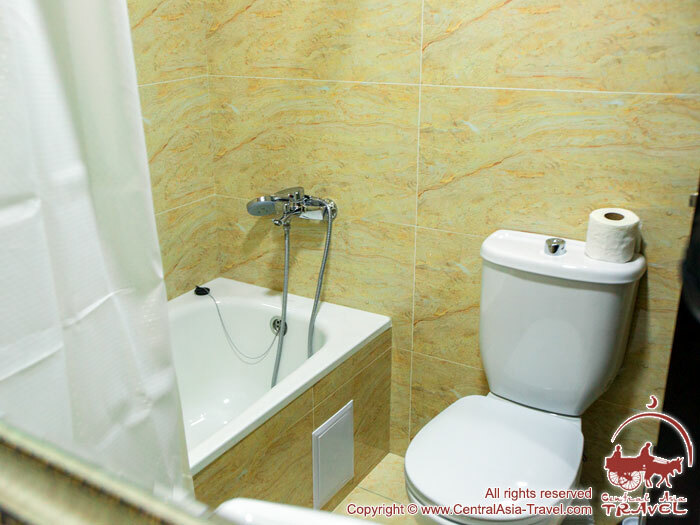 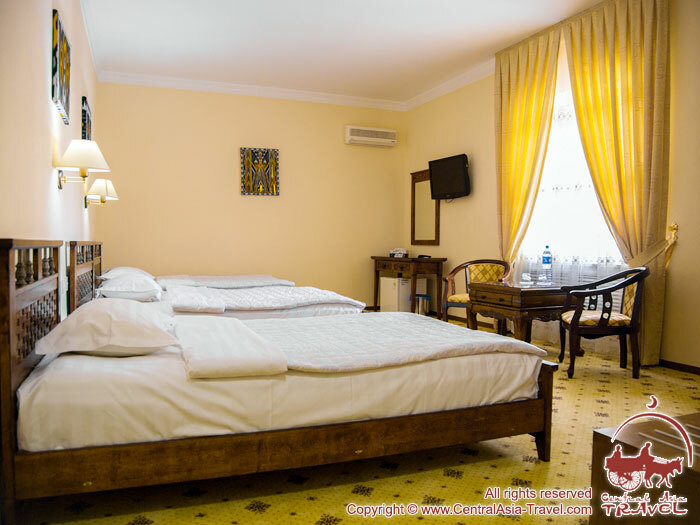 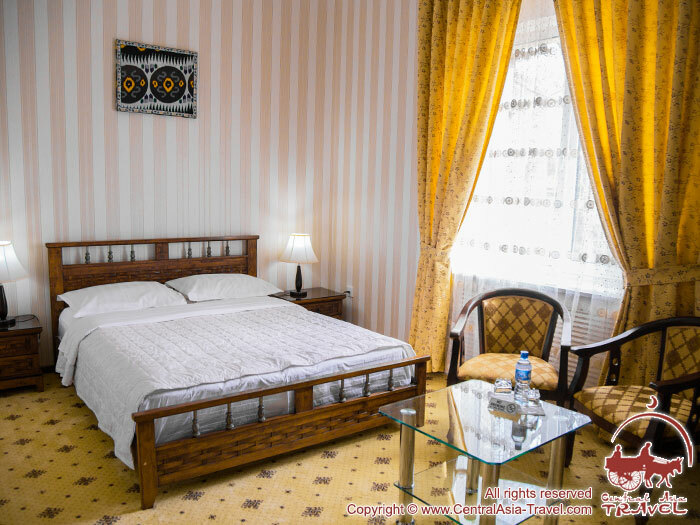 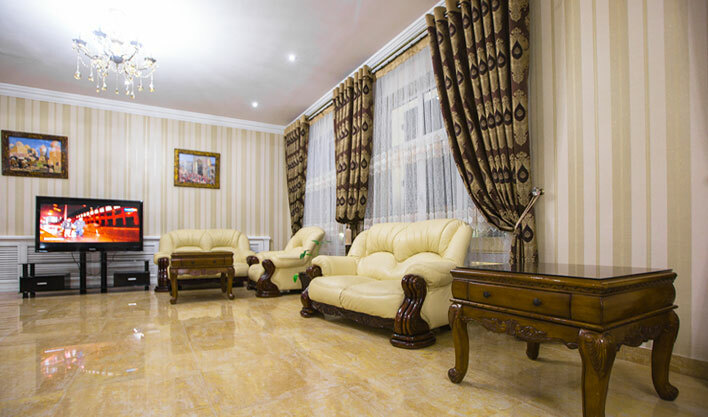 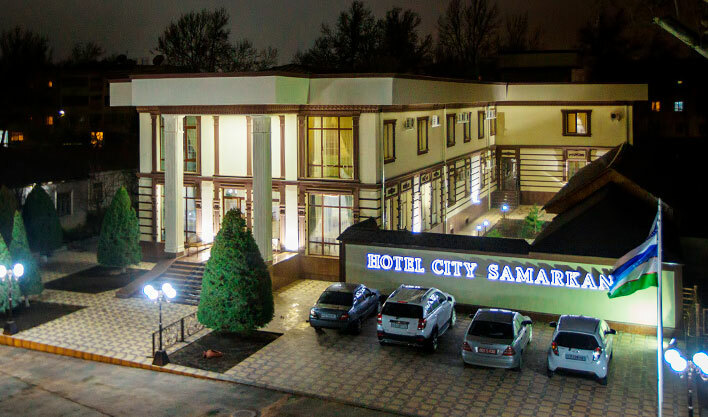 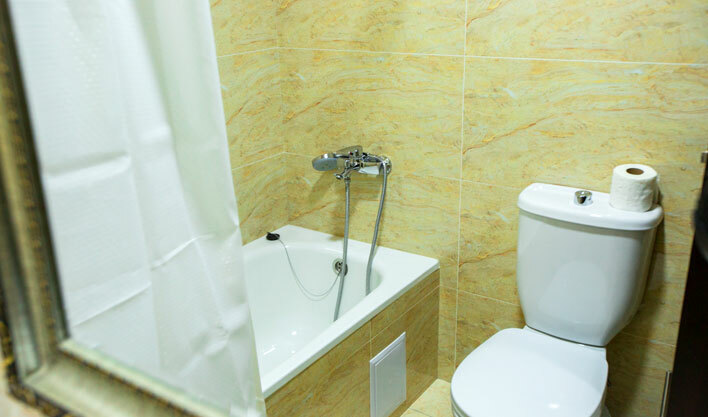 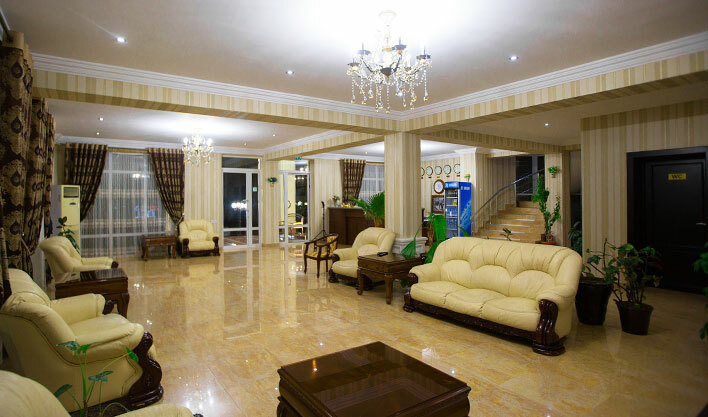 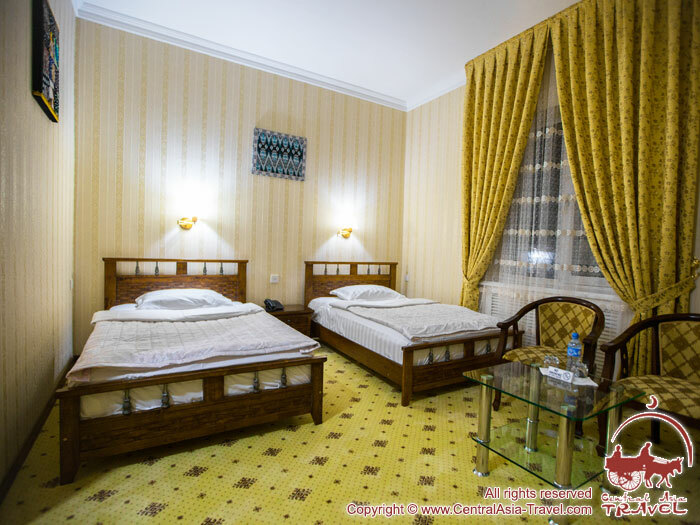 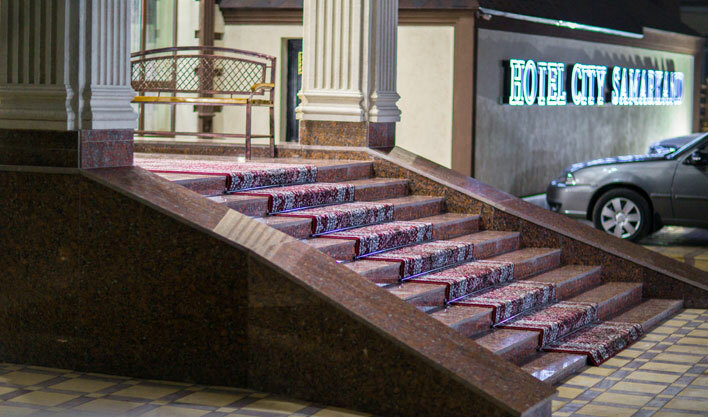 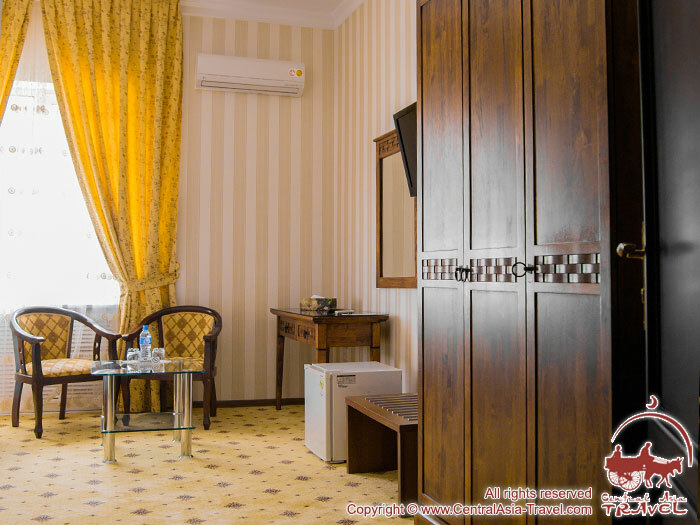 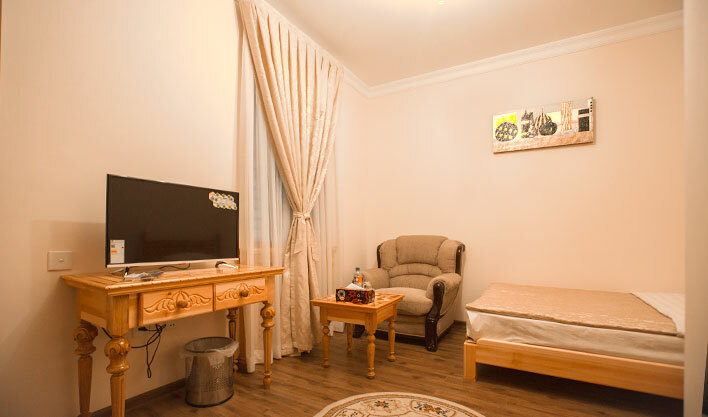 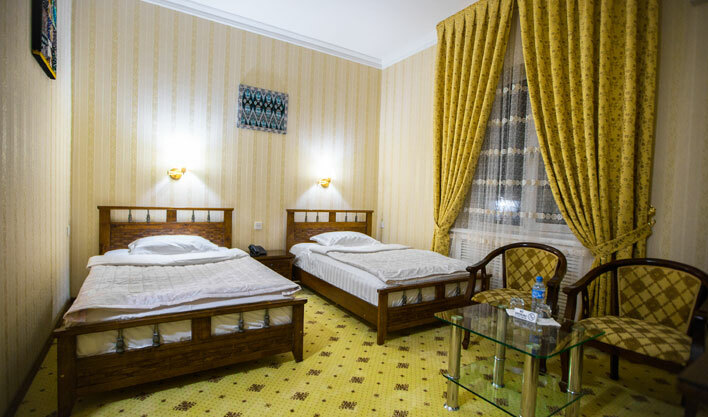 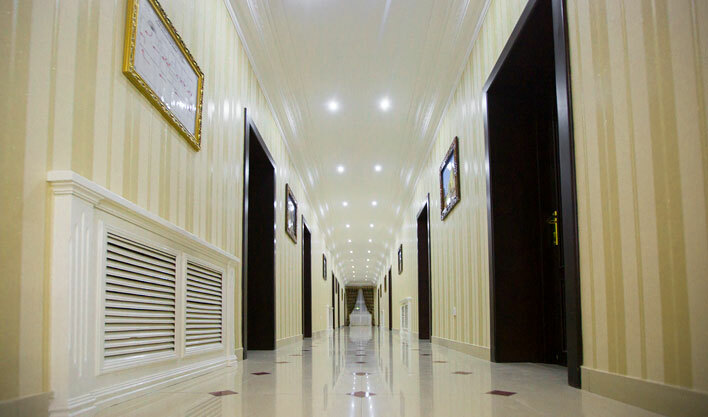 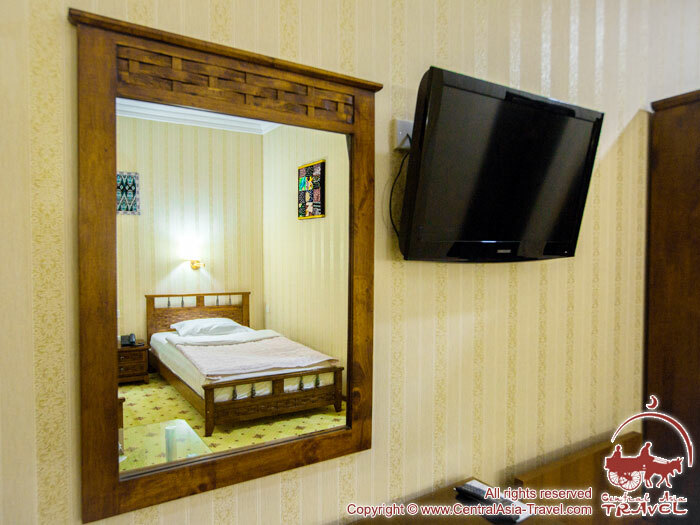 A small cozy hotel "City" is located in the central area of Samarkand, on a calm and shady boulevard, a couple of minutes walk from the most famous attractions of the city - the mausoleum of Gur Emir, Registan Square and the Siab Bazaar. 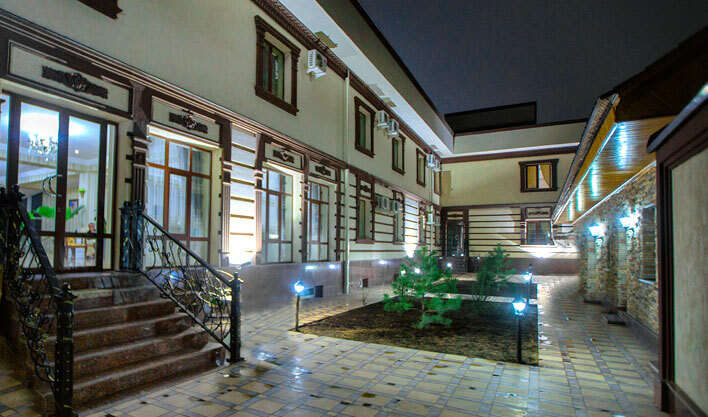 It features a garden and a restaurant, free Wi-Fi and bicycle rental. 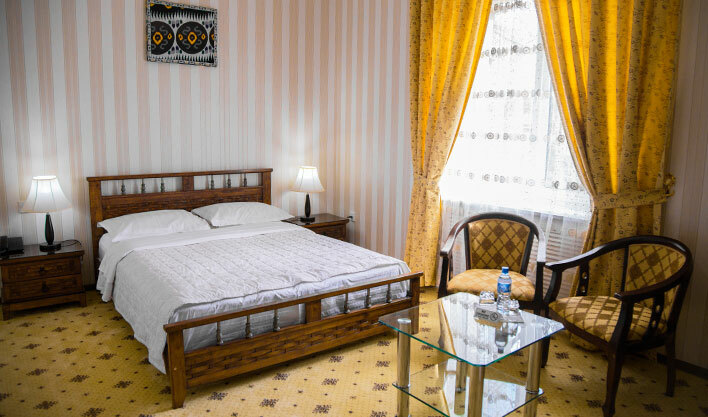 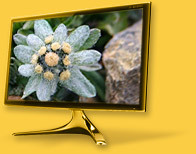 The rooms are decorated in classic style and warm colours. 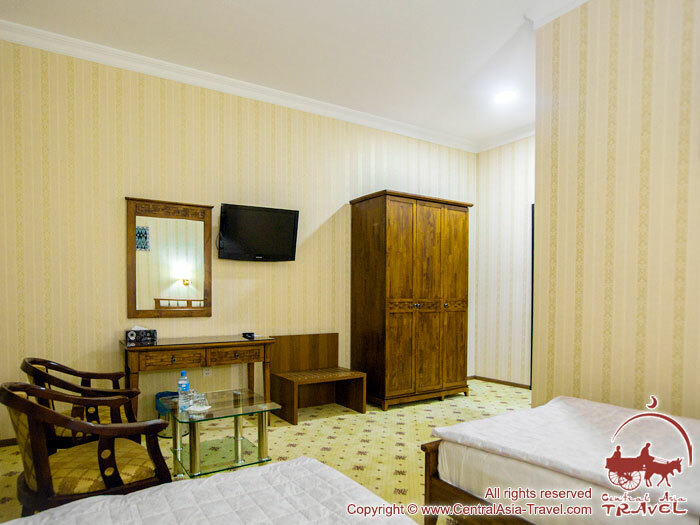 The rooms differs with room size. 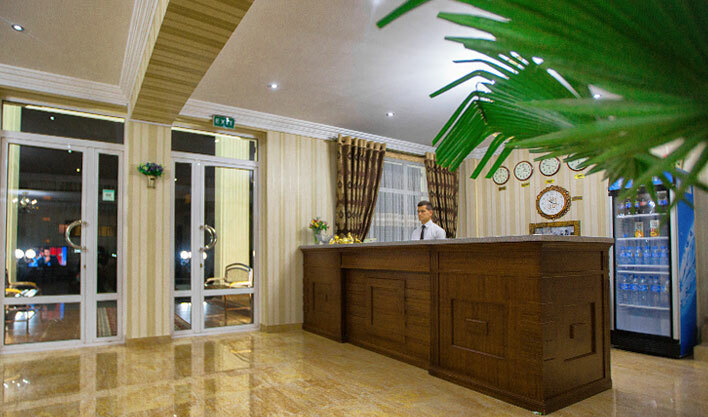 - Breakfast is included into the cost. 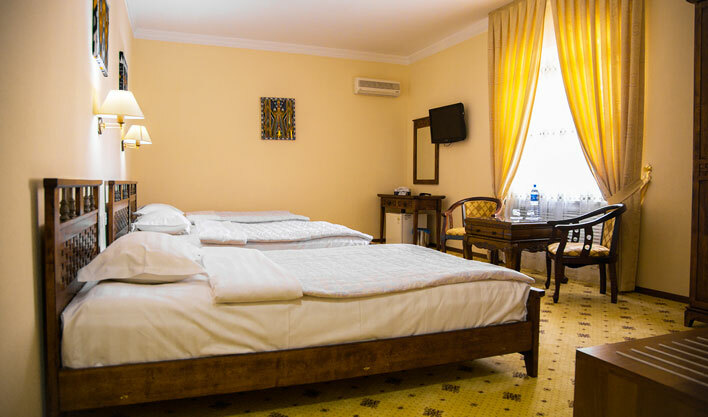 - Food delivery to the room is available. 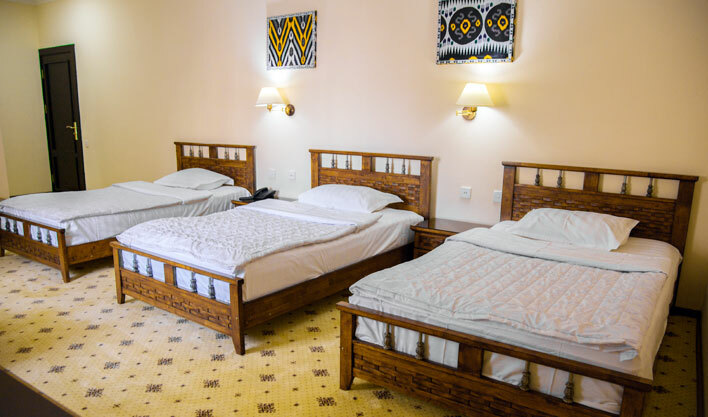 - Children under 6 years old are accomodated for free without additional bed. 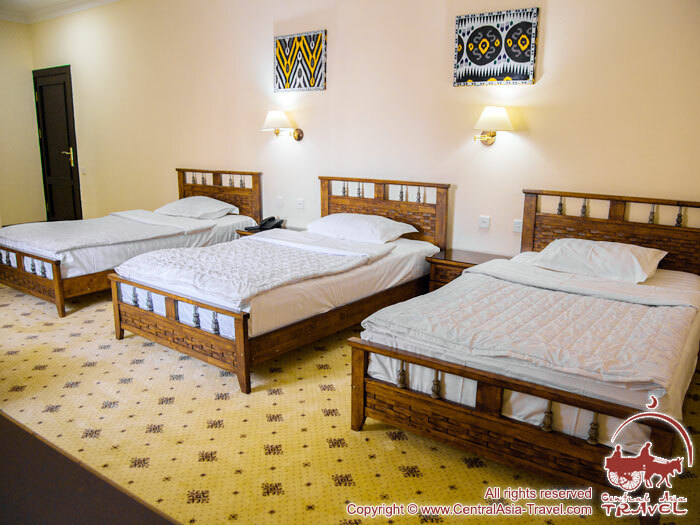 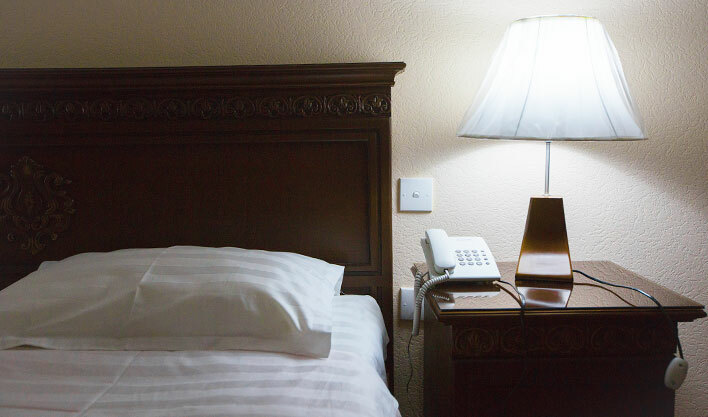 - Additional bed is under request for extra charge. 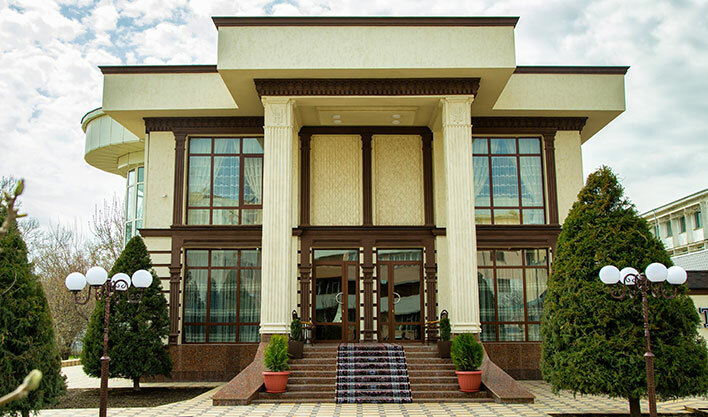 • Restaurant with european and national cuisine. 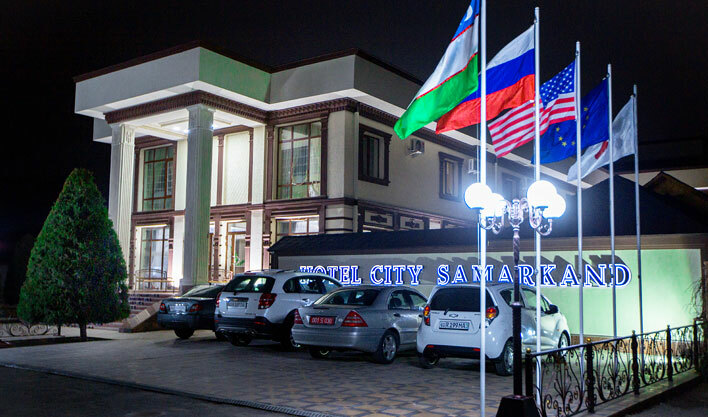 • Conference hall / Banket hall.